Dunnes Stores has 136 stores throughout Ireland, Northern Ireland and Spain, employing almost 15,000 people. We’re Ireland’s largest and leading retailer providing a unique offering of fashion, food and homewares in one location. 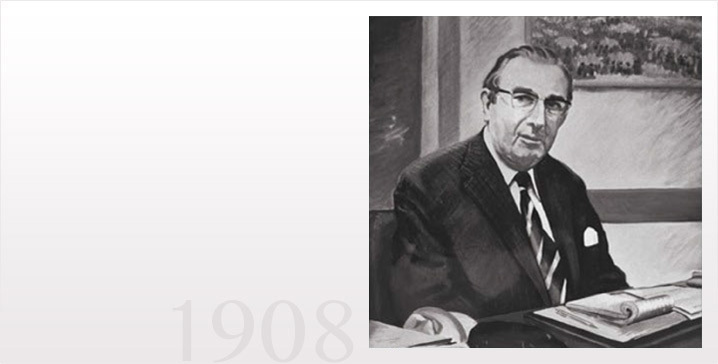 Our story began over 70 years ago, with one man and his vision of Better Value. Our founder Ben Dunne was born in 1908 in Rostrevor, Down. He worked hard even as a boy, picking berries and helping out in a butcher’s. Dunne hoped to save up the fare to emigrate to America, to seek his fortune. However, his ambitions changed when his talent and drive were noticed by a local businessman, who offered him a place as an apprentice draper in Anderson’s of Drogheda in 1926. He later described this as the “turning point” in his life. Dunne initially worked for 3 months without pay before earning just 50 shillings a week. He travelled the country learning the textiles trade, ending up in Roches Stores, Cork. It was there that he met his wife Nora. They were to be married 44 years and had 6 children. Roches Stores was an established draper, and Ben Dunne quickly rose to become a Senior Buyer. His success continued and he was soon asked to oversee their entire drapery business. He agreed, on the condition that he would receive a pay rise. However, the owners refused, saying that he would then earn more than any of them. Dunne responded “And I’m worth more as well”. There and then, he decided to leave Roches Stores and set up on his own. On 31 March 1944, Dunne used his savings to open the first ever Dunnes Stores on Patrick Street in Cork. Word spread quickly through the city of the bargains on offer. People flooded the store to buy quality clothing at pre-war prices in what was termed a ‘shopping frenzy’. A window was forced in and the police had to be called to deal with the eager crowds. The words Better Value were emblazoned across the shop and those first shoppers knew the truth of Ben Dunne’s philosophy as well as we do today. Following this success, further stores opened around the country during the 1950s. Groceries were introduced to Dunnes Stores in 1960. At first just boxes of apples and oranges were sold. Fruit was expensive at the time and Ben Dunne yet again offered Better Value than anyone else in town. Over time, our food selection has grown and that spirit of good value has remained strong. Now we offer a wide range of carefully-sourced foods from both local Irish suppliers and overseas. Dunne opened his first Dublin branch in 1957 on Henry Street followed by a super-store on South Great Georges Street in 1960. This was a ‘personal choice’ store – the first of its kind in Ireland. Shoppers were allowed to browse through the items on racks before making a purchase – a completely new idea in Irish retailing. So began the aim of Dunnes Stores to innovate in order to put customers first. By 1965, Dunnes Stores had expanded considerably. Ben Dunne again revolutionised Irish retailing, this time by building the first out-of-town shopping centre in Cornelscourt. People made the trip out of curiosity, and stayed for the Better Value. It was a major change from traditionally town or city focused retailing. Though the idea was initially questioned by experts, it was a resounding success and still remains one of our most successful stores. From the 1970s onwards, Dunnes Stores expanded all across Ireland and further afield. In 1971, our first Northern Irish store opened, and many others soon followed. Expansion continued in the 1980s in Spain, and later into Scotland and England. In 1970, Ben Dunne was honoured overseas by the US National Retail Merchants Association as ‘Most Outstanding World Retailer’. Everyone who worked with him said he had an instinctive feel for what his customers wanted. Staff remembered him as “a bit of a genius who was often tough but always fair.” Shortly after Dunne passed away, a letter to the Cork Examiner in April 1983 paid tribute to him. It thanked him for “making the sun shine” in the lives of young Irish housewives in the 1950s, by ensuring good quality goods at low prices were available to everyone. In the visionary spirit of Ben Dunne, we continue to evolve. By striving to be a world class retailer, Dunnes Stores aims to deliver the best to our customers. Our contemporary fashion and homewares collections include collaborations with leading Irish designers Helen Steele, Michael Mortell, Peter O'Brien, Paul Costelloe, Carolyn Donnelly, Leigh Tucker, Helen James, Joanne Hynes, Paul Galvin, Francis Brennan, Sonya Lennon and Brendan Courtney and professional golfer Pádraig Harrington. We also continue to develop in-house labels Savida and Gallery. Our customers can now shop online or in one of our 136 stores for the latest fashions, stylish homewares and quality-assured food. We continue to be run by Ben Dunne’s family. Dunnes Stores is not merely a name above the door, it is his legacy.